The Carlton Connect Initiative (CCI) is the University of Melbourne’s newest project: an innovation precinct, designed to position world-class talent with 21st century technology in the heart of Melbourne. Planned to be built upon the former Royal Women’s Hospital site adjacent to the main campus, the University wants CCI to drive partnerships between different sectors and disciplines, and between research and industry. The development opportunity will see the delivery of a significant city precinct, designed for multiple uses across education, research, industry, and public realm, with a new outpost of the internationally acclaimed Science Gallery forming the front door of the precinct. Left Bank Co. were invited by Lendlease to aid in the preparation and coordination of their competing bid, bringing together a large team under one unifying strategy for the precinct. 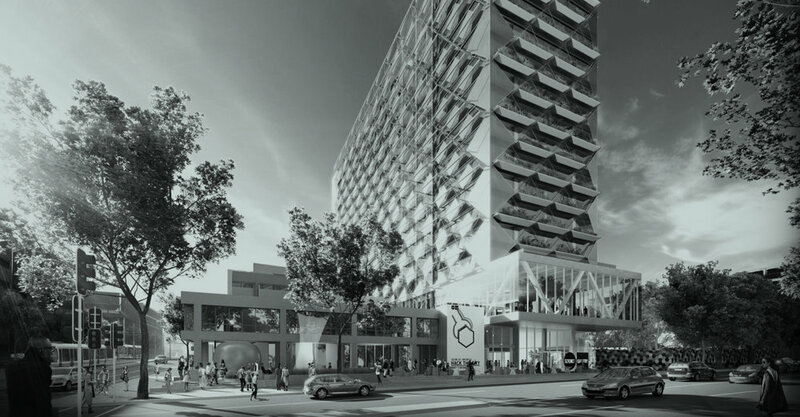 Lendlease led the bid as developer, builder, co-investor and investment manager of the commercial space, with the consortium also comprising GIC as major co-investor of the commercial space, Spotless as the facilities manager, and Urbanest as investor and manager of the student accommodation. Woods Bagot lead the architectural design of the site. Left Bank Co.'s scope of works included preparing and managing the production program to guide all team member and consultants; management of all inputs and revisions to ensure content met bid requirements; carrying out the role of editor-in-chief of the bid submission to manage the strategic story and consistency in content; and coordination of the design and production of the final bid document in conjunction with the graphic team. The consortium led by Lendlease were announced as the successful proponent in 2017, with construction beginning in early 2018. Read more about the Carlton Connect Initiative here.